Vitamin D is an essential nutrient that is essential for strong and healthy bones. Vitamin D was considered a nutrient of concern when people learned that being in the sun, as well as eating foods high in Vitamin D, prevented a condition known as Rickets. 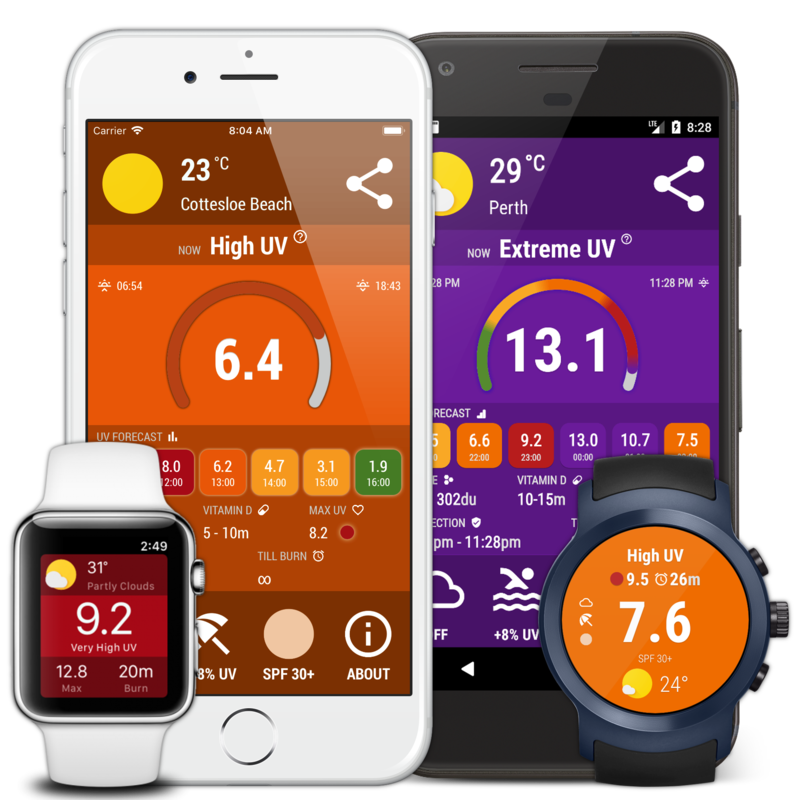 There is a plethora of apps that eager to make you life under the sun a little bit easier and safer during this summer. Sun protection means prevention. During the day look at your shadow. Then shortest the shadow the more protection you need. Fitzpatrick phtotype scale is a most commonly used classification of a person’s skin type developed in 1975 by Harvard Medical School dermatologist Thomas Fitzpatrick, MD, PhD. The sacale classifies skin types by their response to the sun exposure and deegree of burning and taining. Different kinds of reflective surfaces produce a different effect on a current ultravialet index (UV Index). UV rays can be reflected off of open water, grass, sand, snow, concrete and painted walls. Clouds are different. So is their effect to the UV Index. On average, clouds do reduce UV radiation, but it still far away from stops the skin damage. A lot of people think they can’t get a sunburn on a cloudy day. Unfortunately, it doesn’t work this way. For the vast majority of people in the US, overexposure to sunlight is not an issue. Many Americans even have an issue when it comes to Vitamin D deficiency. However, for many people who work outdoors, or otherwise stay outside often, they may be doing much more to their body than just tanning. Let’s try to recall when have you had a sunburn for the last time? Was it a year, a couple of months ago or just yesterday? And did you know that sunburn causes 95% of melanomas and considered the most deadly form of skin cancer? Copyright 2016-2017 UVIMate. All Rights Reserved.